Below you can view all the homes for sale in the Greenway Gardens subdivision located in Henderson Nevada. 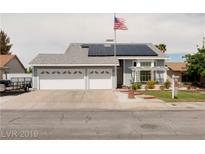 Listings in Greenway Gardens are updated daily from data we receive from the Las Vegas multiple listing service. To learn more about any of these homes or to receive custom notifications when a new property is listed for sale in Greenway Gardens, give us a call at 702-323-5903. 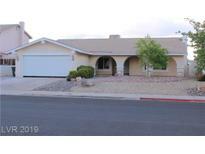 Located close to schools, shopping, and freeway access. Come and see MLS#2087469. Home Connect America. Add this to your must see list! MLS#2086242. BHGRE Universal. Pool Sep. Spa, Gazebo. Side storage w/Gate MLS#2086573. Keller Williams Market Place. Well maintained 3 bdr*4th bdr option*upgraded tile (wood-like) flooring*secured gated entry*family or dining room if you prefer*wood-burning fireplace*beautiful inground pool (3x5x3 volleyball depth) with pool decking patio & solar heat*roof new 2012*upgraded windows at rear of home*small RV parking*this tree-lined street just around the corner from an elementary school-beautiful city park and freeway friendly access. MLS#2079987. Century 21 Gavish Real Estate. Beautiful yard w/lawn, pebble tec swimming POOL & SPA. RV parking. NO HOA restrictions. MLS#2074460. GK Properties. This home has 1718 sqft of living space with 4 bedrooms and 2 bathrooms, formal living room, dining room and family room, owners have updated the kitchen, bathrooms and flooring in the last 5 years. MLS#2074707. Royal Diamond Realty. Mountain Views, Secured Entry, Dual Pane Windows, Low Maintenance Landscaping, no HOA and more! MLS#2059638. Realty Executives Southern. New dual pane windows and shutter-style blinds. Backyard has shed and gazebo. MLS#2061481. iProperties International.